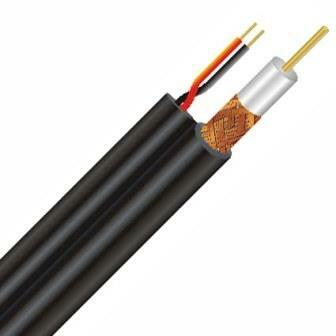 Securnix Siamese Coax cable RG59 + Power Cable 500m Wooden Drum Standrd Spec-Black, Retail box, No Warranty. The Securnix RG-59 Siamese Coax cable is the professional's choice for CCTV systems. The RG-59 Siamese Coax provides both video and power by combining the RG-59 Coax with the 18/2 power, for a single cable pull. 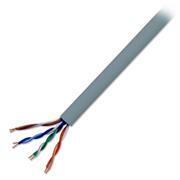 It's suitable for basic analogue TV antenna feeds in residential applications and for CCTV systems. Siamese cable is convenient because it has both power and video cable wrapped in a single jacket so you don't have to run two separate cables. The Easy Spool roll of Siamese cable won't tangle or snag as you pull your cable out. 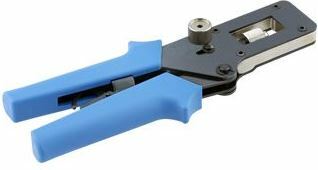 The RG59 video cable will accept any twist-on BNC connectors or any other standard and compression BNC connectors . 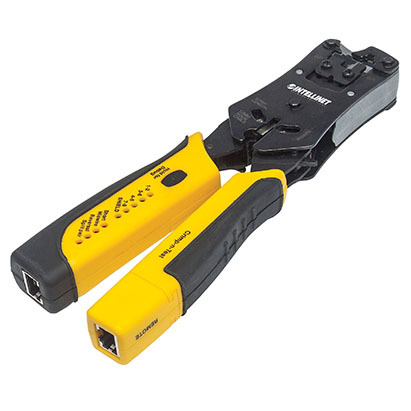 The Securnix RG-59 Siamese Coax cable is the professional's choice for CCTV systems.The RG-59 Siamese Coax provides both video and power by combining the RG-59 Coax with the 18/2 power, for a single cable pull. The RG59 Siamese constructions save time and money as it allows installers to run both the video and power to security cameras using a single cable run so you don't have to run two separate cables. • It's suitable for basic analogue TV antenna feeds in residential applications and for CCTV systems. 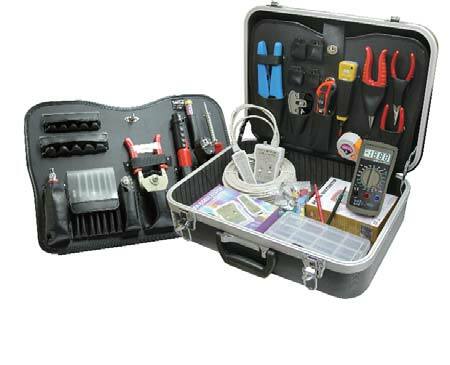 • The Easy Spool roll of Siamese cable won't tangle or snag as you pull your cable out. 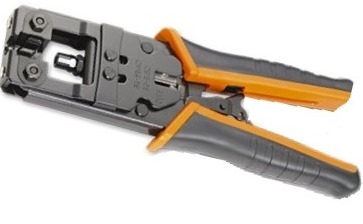 • The RG59 video cable will accept any twist-on BNC connectors or any other standard and compression BNC connectors . Securnix Siamese Coax cable RG59 + Power Cable 300m Wooden Brum Standrd Spec-Black, Retail box, No Warranty. 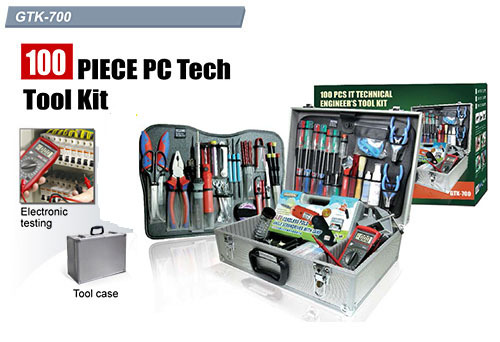 •Offer the latest in integrated circuit design, provide the industry standard packed with popular features. 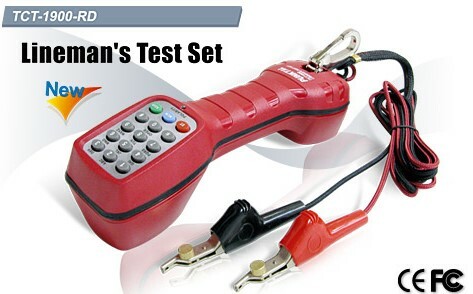 •Talk/Ring/Monitor three kind of tests function, its switch located on inside of handgrip. •Switchable tone or pulse dialling. TONE/PULSE switch are located on inside of handgrip. 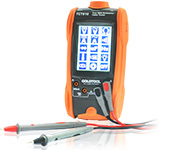 •The Hi impedance monitor will not disturb data, conversation, or signalling. •Last number redial(31 digits maximum). 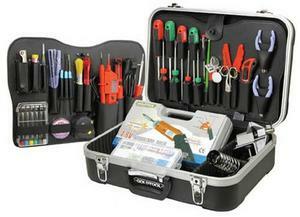 • Offer the latest in integrated circuit design, provide the industry standard packed with popular features. • Talk/ Ring/ Monitor three kind of tests function. • Switchable tone or pulse dialling. • The Hi impedance monitor will not disturb data conversation, or signalling. • LED indicates reversed polarity. 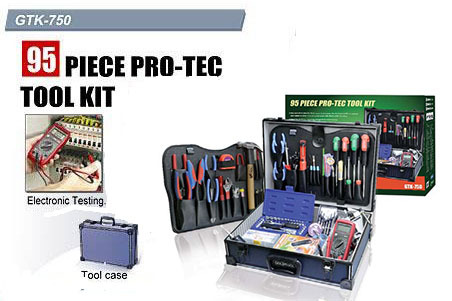 • Protection against excessive voltage, transient ringer signals, and direct connection to most batteries and power supplies. • Volume control-3 position control for up to 12dB of gain. • Water-resistant extra protection against severe weather conditions. • Loop limit : 4K ohms max at 48VDC ( 5K meter - 26 Ga non loaded) nominal 15 mA minimum loop current. • DC resistor : 150 ohms Typical at 80mA current. • Level of tone pair : + 2dBm max, -8 dBm min. 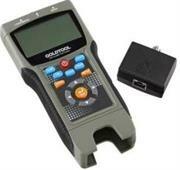 This Goldtool Lineman’s Test Set For RJ11 is a new design to provide both DTMF and dial pulse output. 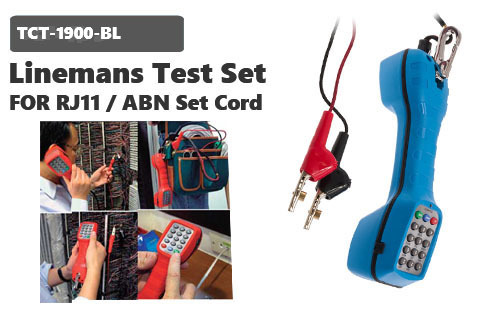 The Lineman's Test Set features line-powered operation, so no extended power is required unless operating on low voltage or dry circuits. 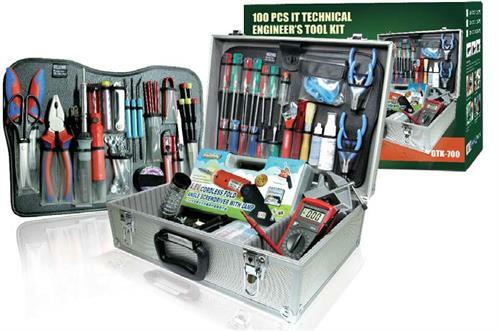 It is used by installers, repair technicians and other authorized personnel for line testing and temporary communications. The polarity LED provides immediate visual indication for Tip (+) and Ring (–) polarity. • Switchable tone or pulse dialling. TONE/PULSE switch are located on inside of handgrip. 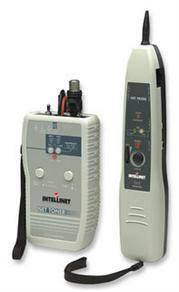 • The Hi impedance monitor will not disturb data, conversation, or signalling. • Last number redial(31 digits maximum). 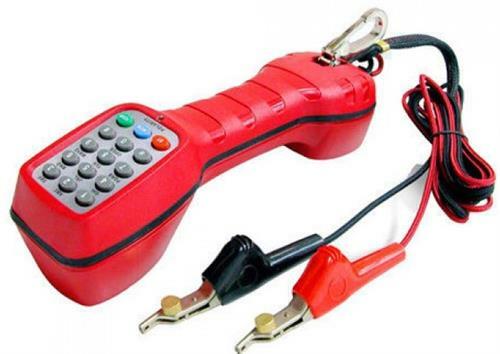 • Protection against excessive voltage, transients ringer signals, and direct connection to most batteries and power supplies. 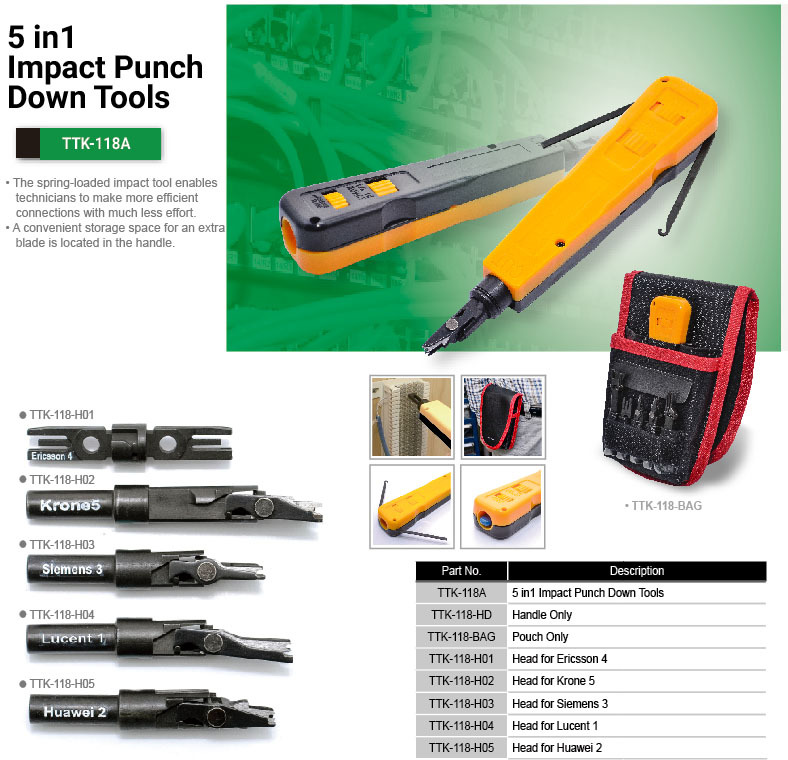 The Goldtool 5 in 1 TTK-118A Impact Punch Down Tool with Multiple Insertion Blade Heads is a spring-loaded impact tool that enables technicians to make more efficient connections with much less effort. 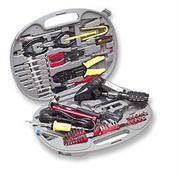 A convenient storage space for an extra blade is located in the handle. 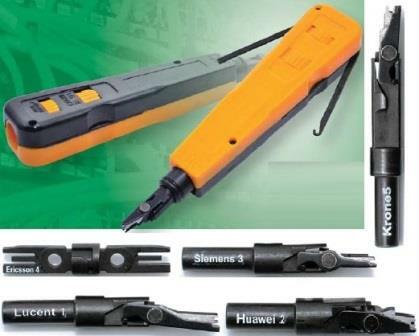 Multiple Insertion Blade heads included are for Ericsson, Krone, Siemens, Lucent, Huawei also included is an easy Carry pouch. • Includes A Built-In Hook And Spudger On The Handle. (Ring / Busy / Clear ) of TEL Line. • Line(6P2C) & Pairs Wire. • Enhance Tone Signals Output . 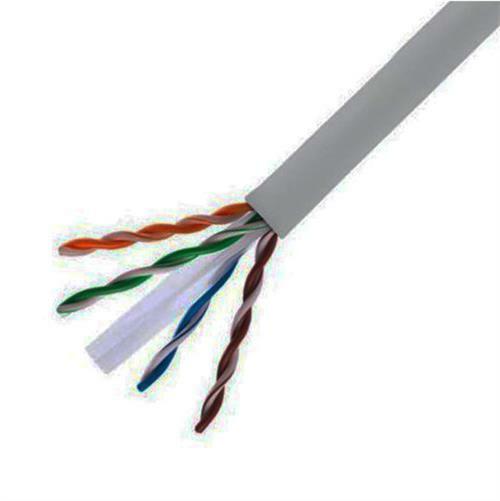 The Netix UTP CAT 6 Copper Clad Aluminium 23AWG bulk Cable is used mainly as a standard for cost-effective network cabling solutions . Each twisted pair is made from copper coated aluminium with higher DC resistance than standard copper cable , this cable backward compatible with the Category 5/5e and Category 3 cable standards. The cable is a fully compliant with international standards ,such as ISO/IEC 11801,ANSI/TIA/EIA-568B.2-1, EN50173, Whether you are wiring your home, office , entire schools or campus the UniQue CAT6 is the right solution. The Goldtool Coax Cable Mapper 8 ID Finder with Toner is a handheld testing device designed for CATV and security installers to test multi-run coaxial cable systems terminated with "F" or BNC connectors. or those who wish to map runs to a central bundle. 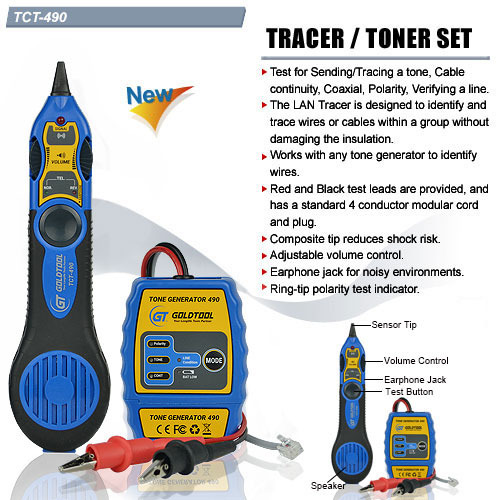 It has the ability to put a tone signal on a coax cable, which can be traced using an audio frequency toner tracer. 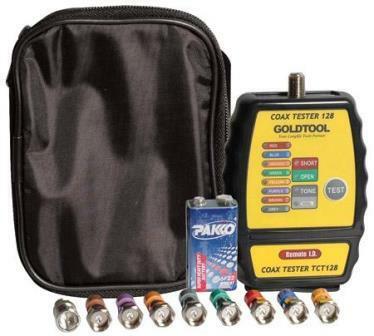 With eight unique identifier test terminators, it is ideal for mapping coax installations. 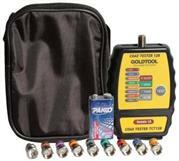 The Goldtool Coax Cable Mapper and Locator will not test cable runs with AC or DC voltage present. Also it will not test through ampliﬁers, DC blocking devices or isolation splitters. 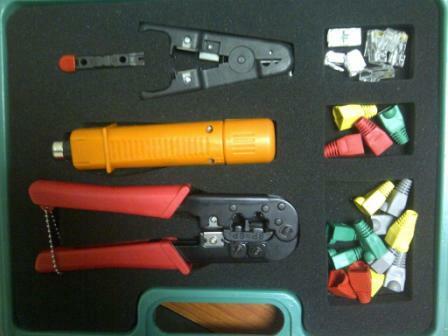 • Connector Free - perfect for customization. 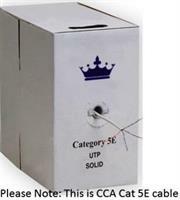 • Spool Box included to provide easy deployment of cable. 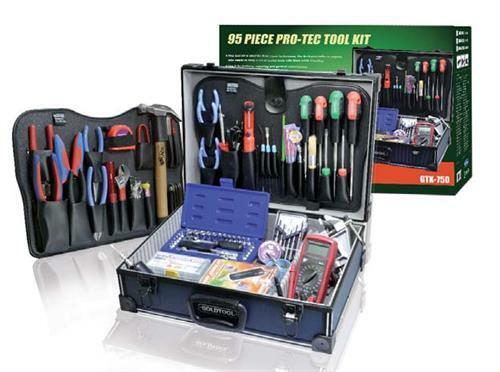 • Meet or exceed the industry standard for Category 5e. 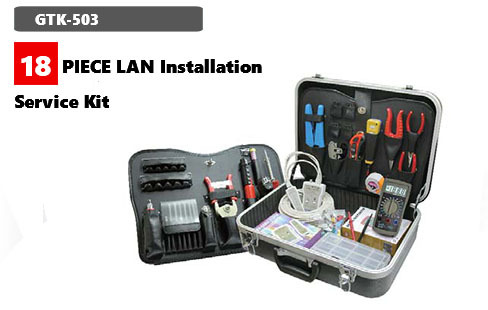 • Support 1000BASE-T Ethernet (IEEE802.3ab). • Impedance: 100 ± 15 OHM. • Flammability grade: CMX, CM, CMG, CMR, CMP. 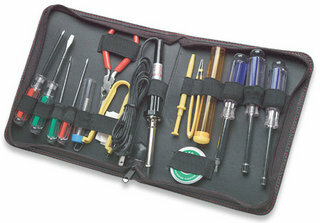 • Reference standard: ISO / IEC 11801 ANS/TIA/EIA-568A. 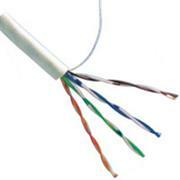 • Cable type: Single-core twisted pair. • Conductor material: copper clad aluminium. miswires. 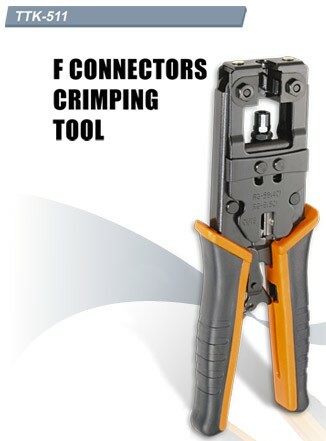 An excellent addition to any network toolbox, this crimping tool and cable tester can quickly check terminations before IT staff install the customized cable. 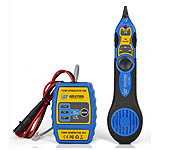 It also allows for quick identification and repair of connection problems in an existing installation.